When planning out our lives, we have a picture of what lies in store for us. Whoever we are and whichever part of the world we belong to, we visualize a life filled with at least the laughter of our child. A child, especially our own, can give meaning to an otherwise mundane existence and make all struggles seem worthwhile. But, in many instances, it might not be possible for somebody to conceive due to medical reasons or behavioural and environmental factors. These could be anything from homosexuality, female infertility to personal habits and lifestyle factors such as smoking and lack of exercise. Surrogacy and the services of a surrogate mother become important in this context. 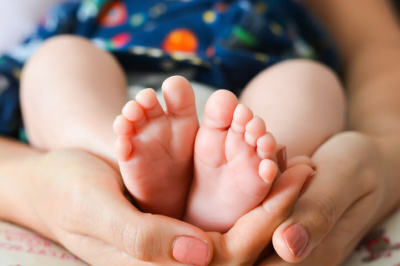 What is surrogacy? Surrogacy is an arrangement or understanding in which a woman carries and delivers a child for another person or a couple. In traditional surrogacy, this woman is also the child's genetic mother. In gestational surrogacy, the surrogate mother is unrelated to the child; she carries a previously created embryo implanted in her uterus in a clinical setting till delivery. Sometimes, the surrogate receives compensation beyond medical reimbursement and other reasonable expenses; this type of surrogacy is called commercial surrogacy. If there is no money transfer over and above which is strictly necessary, the arrangement is altruistic. The legality and costs associated with surrogacy vary between different jurisdictions. The United States, for instance, is considered one of the most progressive and welcoming countries that enable intended parents to pursue surrogacy. The medical and legal procedures, linked to surrogacy, are quite simple in states such as Oregon, Illinois, Massachusetts, and California. Both surrogacy and compensation for surrogates are legal in Oregon. Couples, both gay and straight, from around the world who are not able to conceive a child on their own can hope to find a surrogate in this part of the world. A healthy woman at least 21 years of age and willing to accept the emotional and psychological challenges associated with surrogacy can carry a child for somebody else and become a surrogate mother. And the reasons for doing so need not always be altruistic. She can receive compensation for the surrogacy services rendered which can be used to pursue a dream. To learn more about surrogacy, visit http://www.ehow.com/how_7528703_donate-eggs-money-wisconsin.html. 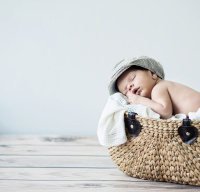 The easiest way to become a surrogate for a childless couple would be to approach a reputable surrogacy agency offering gay surrogacy and other related services. Such an agency from https://www.conceiveabilities.com/ would have the expertise and the experience to take care of all the legal and medical procedures and help you focus on what matters. You can spend time with the intended parents and get to know them better. 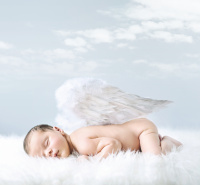 After all, as a surrogate mother, you are giving them the gift of life. The surrogate receives compensation beyond medical reimbursement and other reasonable expenses; this type of surrogacy is called commercial surrogacy. If there is no money transfer over and above which is strictly necessary, the arrangement is altruistic. Visit www.conceiveabilities.com/about/surrogacy-egg-donor-locations/egg-donor-denver-colorado for information on this.